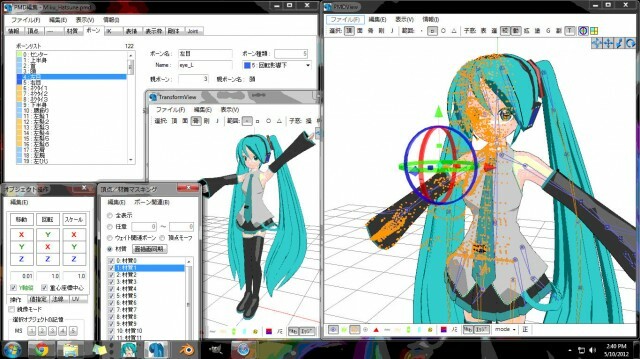 PMD Editor is a free 3D editing program often associated with popular Vocaloid singer Hatsune Miku. PMD Editor is compatible with MikuMikuDance, but models can be ported to Blender, Lightwave, and many other programs with the appropriate 3rd party add-ons. After the official DL links for PMD Editor went down I kept some versions. This is Japanese version 0137b, it is my personal favorite and I highly recommend it. This is the latest PMDE as of May 2012.